What Should I Do When I Have Mice In My Home? Take down bird feeders in your yard. The ground underneath a birdfeeder becomes a buffet for mice, who then go back inside your home for shelter. Make sure your counters and floors are always free of crumbs to avoid attracting mice and other pests. Check pantries and cupboards to make sure all food is stored in airtight containers to keep unwanted bugs and rodents out. Call Holper’s at 314-732-1413 to get your professional rodent removal process started! https://holperspest.com/wp-content/uploads/2017/09/House-Mouse.jpg 1321 1600 Web Churn https://holperspest.com/wp-content/uploads/2016/06/Holpers-Pest-Logo-340-300x124.jpg Web Churn2018-03-02 15:03:352018-03-02 15:06:57What Should I Do When I Have Mice In My Home? Why Are Mice Such A Problem This Year? Mice, mice, everywhere! Or at least that seems to be the case in the St. Louis region right now. What is going on to create such a bumper crop of rodents here? More importantly, what are steps to take to get rid of mice and keep them away? Given that last winter was a mild one, far more mice than usual survived to the warm weather. And they have bred and increased exponentially during the spring, summer, and early fall to give us the population explosion that we are currently experiencing. They are looking for shelter in the colder months, so many homeowners who have never before experienced a rodent problem are dealing with this nasty pest for first time. While some might be tempted to think the mice are traveling in packs, it is merely the sheer number of mice present which gives that illusion. What Are Steps To Keep My House Mouse-Free? Prevention is always the best policy! Have your home inspected by a pest control professional to determine any potential access points where mice could enter. A mouse needs an opening only the size of a dime to take up residence in your home. Mice can climb gutters and enter at the roofline, so having an inspection that includes the roof is a wise move. Your attic might be providing a habitat for mice without you knowing it until the infestation becomes huge. An attic inspection is worth the time to make sure your home is yours, and yours alone. Keep baited rodent stations around the perimeter of the home year round. You want the mice to feed outside of your home and expire there, which is why we don’t use bait inside the home. Don’t waste time trying purported home remedies, such as herbs, to get rid of mice. You’ll delay the inevitable call to a professional while allowing the population increase to continue. Why Should I Call Holper’s Pest & Animal Solutions? Good question! Holper’s has been successfully keeping St. Louis area homes pest-free for over 32 years! Let our decades of experience help give you peace of mind all year long. Call us today at 314-732-1413! We look forward to serving you. https://holperspest.com/wp-content/uploads/2018/11/preventing-mice-infestation.png 0 0 PestProse https://holperspest.com/wp-content/uploads/2016/06/Holpers-Pest-Logo-340-300x124.jpg PestProse2017-12-14 04:30:592018-11-16 22:04:39Why Are Mice Such A Problem This Year? Outdoor Mouse Control: Do I Need a Mouse Exterminator? EEK! A MOUSE! This time of year you need to be careful, or a mouse will be playing inside of your home. We are mouse exterminators, providing successful mouse control! There are two mouse types you will see this time of year in the St. Louis area. The first one is a house mouse. The house mouse has fur that is grayish brown, and a tail equal to the length of its body. From nose to tip of the tail, a house mouse is five to seven inches in length. 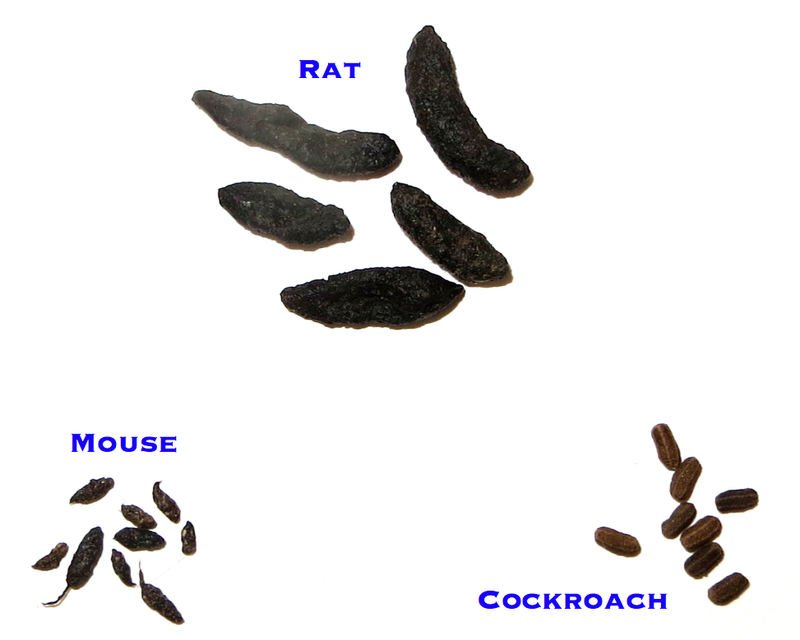 House mouse droppings are roughly 3/8 inch long, black, and very hard. The second mouse that is common right now is the white-footed deer mouse. This mouse has brown fur with a white belly, as well as white feet. An adult white-footed deer mouse has a body length of 3.5 inches to 3.9 inches, not including the tail. The tail will add another 2.5 inches to 3.8 inches to the overall length. The droppings are very similar to a house mouse, but since these mice are associated with Hantavirus, sweeping up their droppings on your own could be deadly. How Did I Get a Mouse in My House? A mouse needs only to find an opening as small as a dime to gain access for food and shelter. Common entry points are: gaps where the gutter line meets the roof; cracks in the foundation; warped siding; and garages. They also gain entry where utility lines enter the home. DID YOU KNOW: When a mouse first makes its way into your house, it leaves a trail of urine droplets (up to 3,000 droplets a day!) that creates a path for other mice to follow into your home? When you are in need of mouse control, it is important to use the services of a reputable pest control company, such as Holper’s Pest & Animal Solutions. For mouse control, our expert service begins with a thorough inspection to develop a treatment plan for your specific problem. Once entry points are located, your home will be treated with a personalized combination of baited mouse stations, mouse traps, and repairs to entry points. It is important to note that all mouse droppings are a biohazard and should only be cleaned up by a professional using proper safety equipment, especially in the case of white-footed deer mouse droppings, which are linked to the deadly Hantavirus. Holper’s looks forward to providing you with successful indoor and outdoor mouse control and mouse extermination. Please call 314-732-1413 to set up your appointment today. https://holperspest.com/wp-content/uploads/2017/06/House-Mouse.jpg 208 242 PestProse https://holperspest.com/wp-content/uploads/2016/06/Holpers-Pest-Logo-340-300x124.jpg PestProse2017-06-29 13:59:352017-06-29 20:25:13Outdoor Mouse Control: Do I Need a Mouse Exterminator? Some animals we love having in our homes–our beloved pets. These furry companions truly are members of our families and they hold special places in our hearts. But some animals, like mice and other rodents, are not so welcome when we find evidence that they have taken up residence in our abodes. Because our pets are part of the family, it is only natural that an immediate concern is how to get rid of the unwanted pests in a way that is pet-friendly and pet-safe. At Holper’s Pest & Animal Control, your pet’s safety is very important to us–almost all of us are pet owners, too! Our guidelines for mice and rodent control include safeguards to make sure you and your whole family, pets included, stay safe and sound. Our owner and founder, Jeff Holper, is a long-time dog owner. When choosing the rodenticide that our company would use, pet safety was a big part of his decision. For that reason, Mr. Holper trained all his technicians to use the safest rodenticide on the market in the most secure way. Place tamper-resistant (for pets and children!) rodent baiting stations accordingly around the external perimeter of the home to draw the rodents out to eat the rodenticide bait–this way they die outside of your home and not inside! Place rodenticide in the tamper-resistant stations–this rodenticide contains a blood thinner in doses so miniscule that it can only affect mice and rodents. The doses are too small to affect larger animals, such as pets. If accidentally ingested by a pet, it harmlessly passes through the system in 48 hours, with the only telltale sign being yellow stools. We would never use anything in and around your home that we wouldn’t use on our own homes. In the 30-plus years that Holper’s has serviced the greater St. Louis area, we have never experienced a pet or a child getting into a rodent station. For over three decades, Holper’s Pest & Animal Solutions has provided superior service to our customers, many of whom we have cared for since we opened back in 1985. Our Quality Pro® Certified technicians, who receive ongoing training, are always up to date on the latest developments in materials, equipment, and techniques for exterminators, as being low-impact to the environment is always our goal. We know you have options in exterminators, and we at Holper’s are confident that choosing us as your pet-friendly exterminators will be a choice you are glad you made. Call today at 314-732-1413 to take the first step in allowing Holper’s to give you back your home. The peace of mind you will receive is priceless. In regions where winter brings cold temperatures that dip below the freezing point, many animals that are seen out and about during warm weather seem to disappear. Where do they go? When it comes to mice, the answer could be that they have gone inside your residence, where warm temperatures, plenty of nesting materials, and various food sources create the perfect environment for them to feed, breed, and create comfortable nests for their offspring. Like other pest infestations, a mouse infestation usually has humble beginnings. It often starts out with just a few mice entering a home or a building — a situation that homeowners and building owners are aware of, unless they happen to see a mouse scamper across the floor. However, because mice breed quickly, what was initially a few mice in the structure can easily balloon into a thriving mouse colony within a year’s time. When a mouse infestation reaches this point — or is well on its way to reaching it — the property owner often starts to notice signs of the infestation. Because observing these signs are usually what triggers the person to request mice control services, it’s imperative for property owners to be aware of signs of infestation. Mouse feces has a unique appearance that distinguishes it from feces that other types of invading pests leave behind. Mice are not discreet about where they defecate, which is why mouse droppings tend to be one of the first things that indicate mice are present. Common places for mouse droppings are pantries, cabinets, storage boxes, and along baseboards. After mice enter a structure, they naturally start to search for sources of food — a search that often leads them to cabinets and pantries where food items are stored. The packaging for many foodstuffs are simply no match for the gnawing power of mice. Consequently, when a home or a building is infested with the critters, it’s not uncommon to find several holes in food containers. Wood is another material that mice use their sharp teeth to penetrate. Mice often chew through wood in search of a nesting place or to access food in closed cabinets and other repositories for edibles. If you notice small, ragged holes in furniture, paneling, cabinetry or other wood products, mice may be to blame. A mice control services provider can make the determination. There are several theories about why mice chew electrical wires. One theory is that mice chew on wires to sharpen their teeth. Another theory is that they do it to offset pain that comes from tooth growth. Regardless of why mice chow down on wires, the fact is that they do, potentially causing serious damage to electrical wires for lighting, HVAC equipment, appliances, and more. When mice move through narrow spaces behind walls, they often make a scratching sound — a noise that typically results from claws scratching against drywall and/or teeth chewing new holes to further invade the residence. If you hear scratching behind walls in your home or building, you probably don’t need to call ghostbusters. Call a provider of mouse control services instead. Dealing With a Mouse Problem? Mice can infest a home or a building in any season, but pest exterminators often notice an increase in mice control issues during cold weather. Like people, mice need a warm place to live in cold weather, but if they infest your home or building, they won’t pay rent or respect your possessions. Instead, they’ll damage your possessions — and potentially in a very costly way, not to mention the risk of virus and disease they could be carrying. If you think that your home or building may have a mouse problem, follow your hunch and contact Holper’s Pest & Animal Solutions for mice control services. We have many years of experience in removing mice and other bothersome creatures from homes and buildings in the St. Louis metropolitan area — and we can banish them from your home or building, as well. In addition to removing pests, we also examine the exterior of a residence or a building to assess whether holes through which the critters may have entered need to be sealed up. To schedule a free inspection of your home or building, please call us today at (314) 732-1413, or email us at info@holperspest.com. We look forward to putting an end to your pest problem!